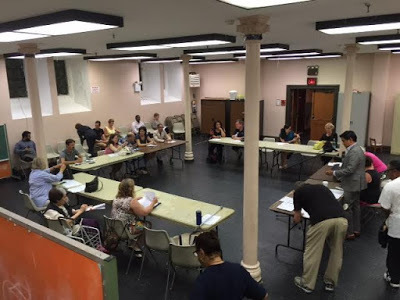 The Roosevelt Island Residents Association (RIRA) Common Council will meet this evening, December 2, at 8:00 PM in the Good Shepherd Community Center (543 Main Street). 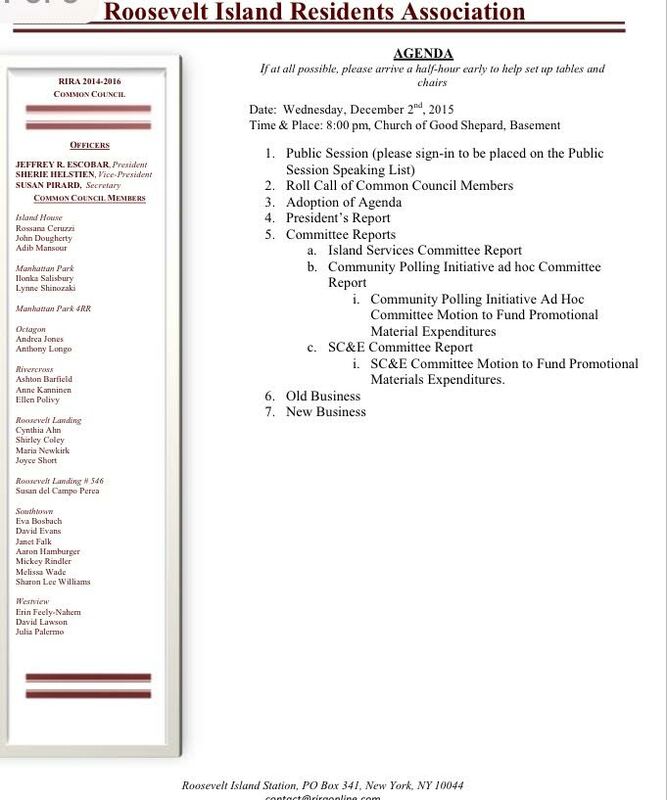 i. SC&E Committee Motion to Fund Promotional Materials Expenditures. 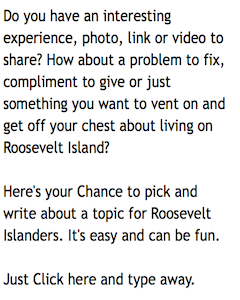 You're invited to come to tonight's RIRA meeting and learn what's happening on Roosevelt Island.